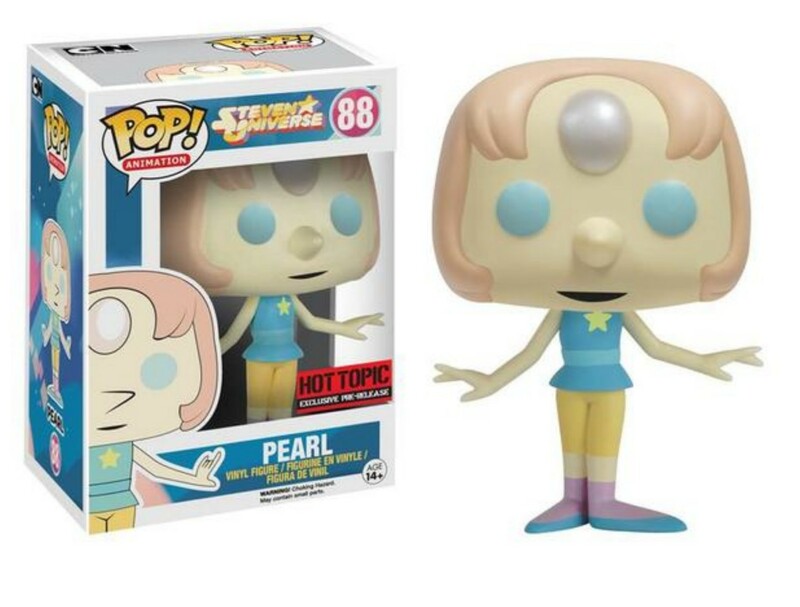 Calling all Steven Universe fans! 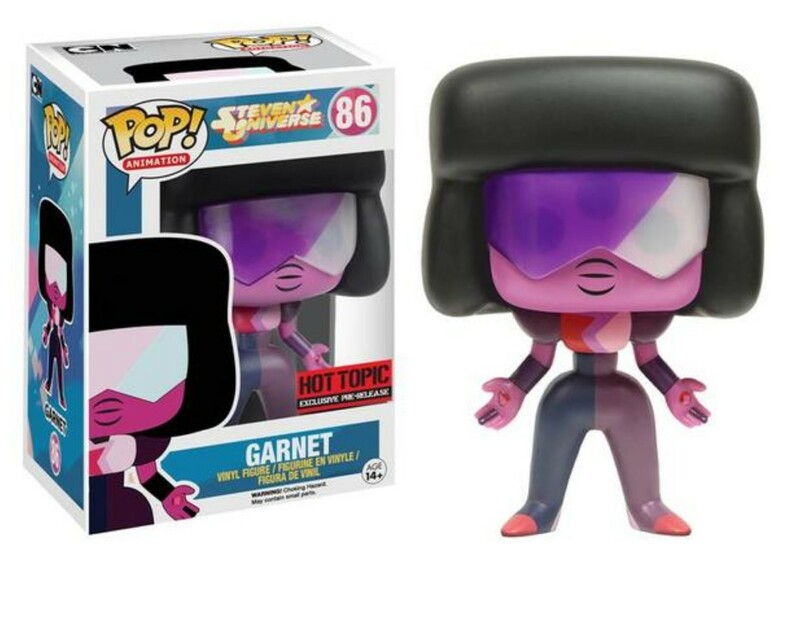 A collection of vinyl figures based on Cartoon Network’s original animated series Steven Universe is now available for fans! The figures, from Funko’s POP! Animation line, are now available exclusively at Hot Topic stores nationwide as well as via hottopic.com. The four POP! 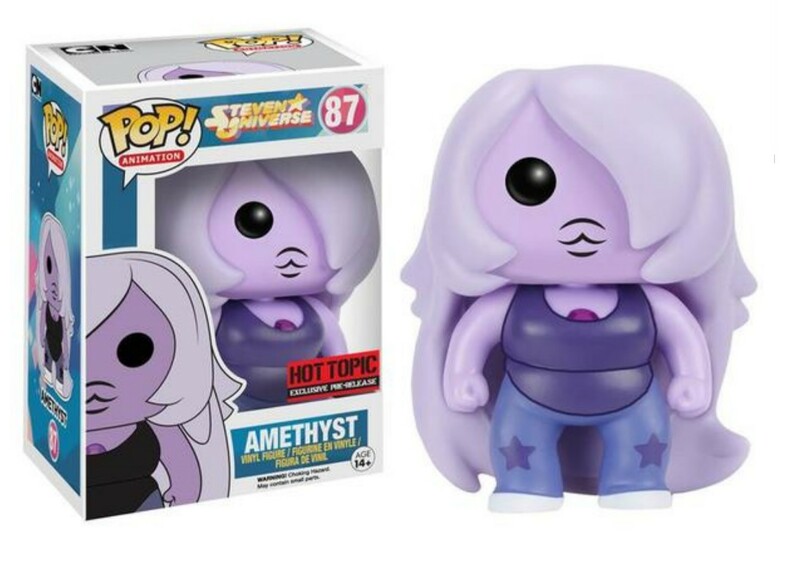 vinyl figures are based on Steven, as well as Amethyst, Pearl and Garnet – better known as the Gems. Each collectible vinyl figure is 3 3/4″ tall and features a stylized look that captures the personalities of the characters from the show. The figures are available for a suggested retail price of $12.50 each. Steven Universe is an animated series about the misadventures of a boy named Steven, the ultimate “little brother” to a team of magical guardians of humanity—the Crystal Gems. Steven may not be as powerful as the Crystal Gems. Or as savvy. And he doesn’t have much control over his powers, which originate from the gem in his bellybutton. But that doesn’t stop him from joining Garnet, Amethyst and Pearl on their magical adventures and somehow finding a way to save the day! Steven Universe is created by Emmy® and Annie Award-nominated writer and storyboard artist Rebecca Sugar (Adventure Time).